Red Cloud Interactive. will co-organize Laguna IT Jam 2016 scheduled during the 2nd week of October 2016. It was one of the most extensive and innovative events relating to Information Technology not only in Sta. Rosa but in the whole province of Laguna. The City Government of Sta. Rosa and Soft Micro Enterprises were the main organizers of this annual event. The annual event brings IT companies together to empower citizens of Laguna with the latest trends in Information Technology. Mark Anthony Wagan, the key organizer of Laguna IT Jam hopes that this year’s event will be bigger and better. 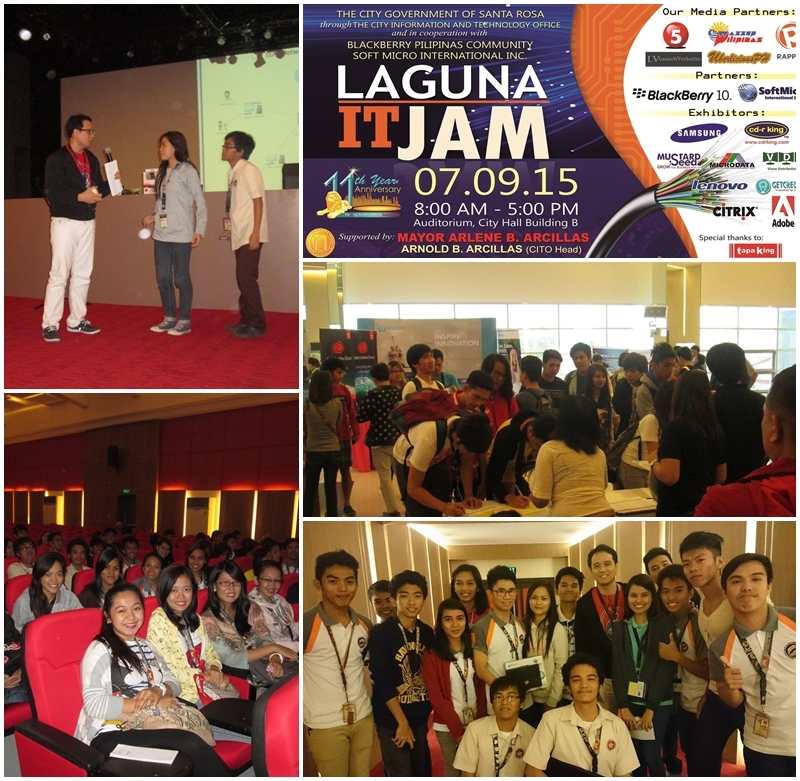 Laguna IT Jam 2015 was a moderate success since rains and a looming typhoon prevented others from attending. Some 15 companies attended the event. Talks on the newest IT trends were also held at the Municipality’s impressive auditorium. Red Cloud Interactive will help co-organizes this years event. A tech-themed cosplay competition will be in the works in order to spice up the event. Attendees should catch talks on gaming, augmented reality, hardware and software trends, latest gadgets and more. Red Cloud will also be covering and promoting the event across its various social media channels. If you are interested to have a booth at the event and exhibit their products you can e-mail us at inquire@redcloudinteractive.com. You can also directly contact us at 0926-330-7436 for more information or visit our Facebook page. The organizers are also looking for possible speakers and topic proposals for the event this October. If you have any IT-related topic in mind you can also send us the details and we will forward it to the organizers. Let us together support this event and be IT-empowered. Watch out for more updates on the event in the coming weeks. This entry was posted in Events, Press Release and tagged digital marketing, laguna it jam. Bookmark the permalink.